Please come with us and go for a visit to the orphanage at Tolmachevo, Russia! Nadya Stagneev and her team from the New Generation Church in Gatchina gave the older children a lesson in pizza cooking. In a warm friendly atmosphere children helped make the dough, and then cooked pizza. 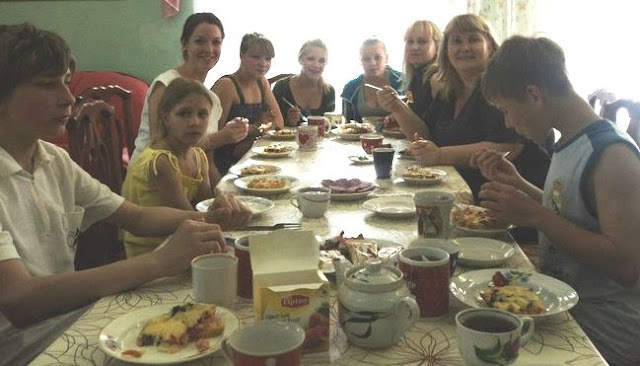 Children who live in orphanages run by the Russian government rarely have the opportunity to participate in simple household chores or to do any cooking. Nadya writes: “Our fellowship was very nice. Children shared about their school. There was a lot of fun and laughter. “Our team played on the moon walk, read, and colored books with the younger children. “When the pizza was ready, we sat around the table and, just like in a big family, had tea-time. Children are very open for communication. “We had a guest from Latvia as a part of the team, and she played violin. Children listened attentively. 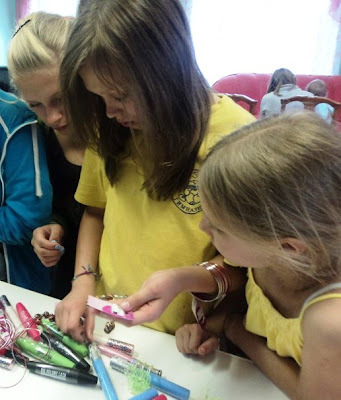 “At the end, we gave children different little gifts. 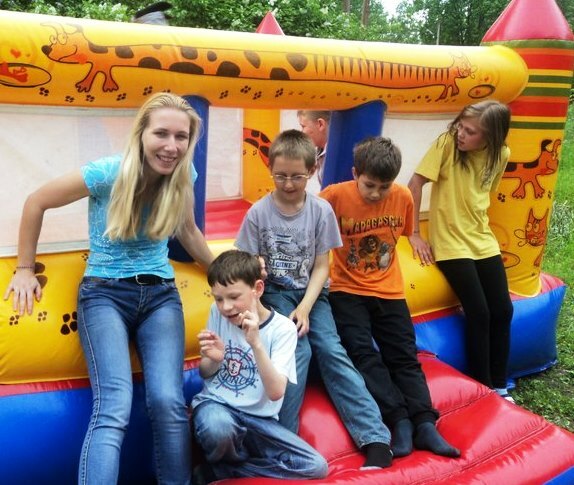 You can join the blessings of being the Light and Love of Jesus for Russian Orphans! Join up and partner with one of our ministry teams here: Join and partner with Russian orphan ministry! 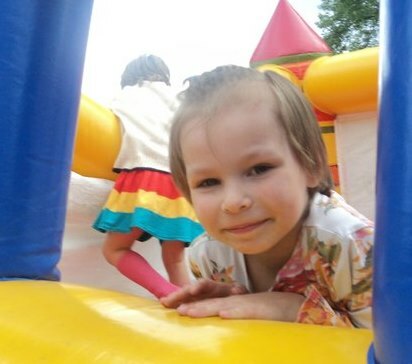 You can donate to help our teams in Russia visit God's special children in orphanages run by the Russian government. You can donate online or through the mail. Just click on the GIVE button for more information.